Balboa! It has been a while. This time around, R and I ordered the following: Cream of Squash (PHP209), Bacon Steak (PHP448) and Lasagna (PHP319). For drinks, R got the Salted Caramel (PHP175) while I chose Lychee, Lime and Honey (PHP138). The drinks arrived first and my drink was quite refreshing. It wasn’t that sweet and it has a slight citrus taste from the lime. The lychee taste was faint though. R loved his salted caramel. It was quite milky and surprisingly not as sweet as I thought. The Cream of Squash had a light texture making it a good appetizer. I loved the slight sweetness of the soup. The lasagna and bacon steak arrived next. R’s lasagna, with ground U.S. Black Angus and pecorino, was pretty average. The cheese taste wasn’t that strong and same for the meat. Sadly, I find it forgettable. The bacon steak though was value for money. One order comes with two huge slabs of bacon, two sunny side up eggs and rosti potato balls. It was a filling dinner! The bacon was not that salty and did not have the “umay” taste. I loved the rosti potato balls too which added crunch to the whole dish. 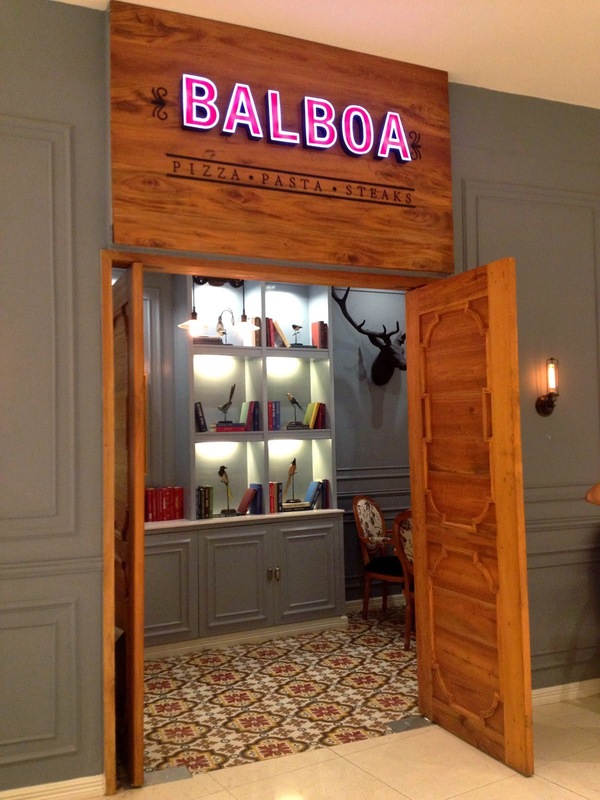 Balboa is located at 4th floor, East Wing, Shangri-La Plaza Mall, Mandaluyong City.